Next up in ‘unexpected turn of events’ news, it’s been announced that Paul Merson is waiting on international clearance to sign for a team who play in the fourth-tier of the Welsh football league. Now 49, Merson retired from professional football in 2006, but is now on the cusp of reversing that decision to turn out for Caerau FC, who are based in the town of Maestag, near Port Talbot. According to BBC Sport, Caerau secretary Dai Hooper is a friend of Merson’s after the pair met at a function a while back. He is now hoping that the jibbering Sky Sports pundit will be registered in time to play against Pontyclun on 18th October. I texted him (Merson) last week about the rearranged fixture with Pontyclun and he said ‘I can make that’. So we’re hoping now that the international clearance goes through because obviously he played in England. Asked about Merson’s match-fitness, Hooper replied. He’s looking okay on the television. 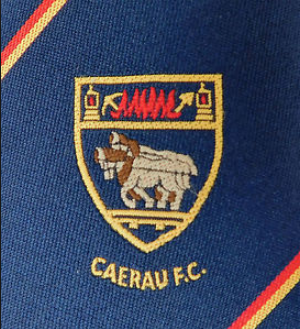 As for Caerau themselves, they are currently loitering down in the lower recesses of the Welsh Football League Division Two, having lost four of their five matches so far this season. Obviously what they need is a middle-aged Paul Merson coming on board to steady the ship. That said, Merse does have experience of the Welsh leagues, having previously made one appearance for Welshpool Town in 2012, scoring the consolation goal in a 4-1 defeat – presumably after bumping into their manager at some sort of function.